My name is Kristen and I started Up North Photo Booth in the spring of 2012. I went on a missions trip to Haiti that February and was working with the orphan girls who had lost everyone they knew in the previous earthquake. We were talking about dreams and what they wanted to do and we even made dream boards. It was then that I realized what my true dream was and that was to start my own business combining my love for photography and people. I started with just 1 photo booth and had 23 jobs in my first year alone! 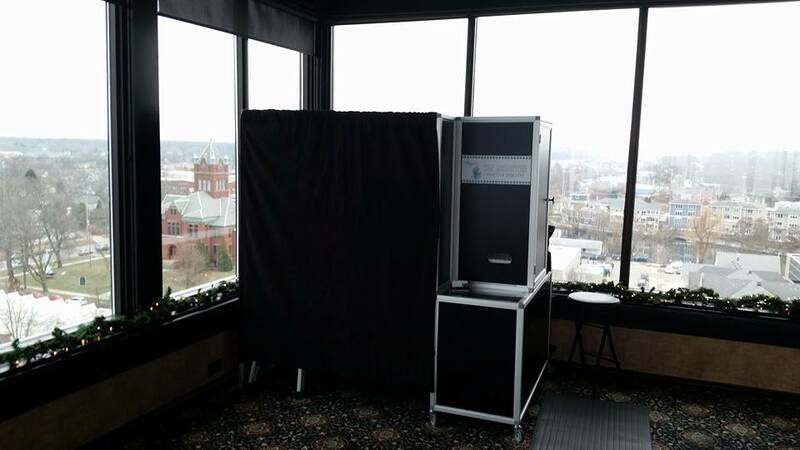 Since then, we've grown with adding about a photo booth each year and now have a total of 4 booths and average about 95-105 events each year! We bring the photo booth to every kind of event you can imagine. Some of the main ones include: Weddings, Graduation Parties, Church Events, Bar Mitzvah's, School Carnivals, Dances and Proms, Company Picnics and Holiday Parties for businesses all over Northern Michigan. We are at some events for only 2-3 hours and others for 7 hours+! We love each and every event though and really appreciate all of our clients! Working the photo booth is great because everyone is having fun and happy and really enjoying the memories they are making. We love that they get something to take from it too - a photo strip with a customized logo made by us at the bottom of every strip specifically made for each event. This creates a memory they can take with them and remember the event by. We also put together a Memory Book for every wedding we are at. The book has pages full of every photo strip taken at their event with messages from all of their guests. The bride and groom get to take this with them the night of their wedding too so there is no waiting for anything! Up North Photo Booth has been a huge blessing for me and my family. We thank everyone who has been a part of it!